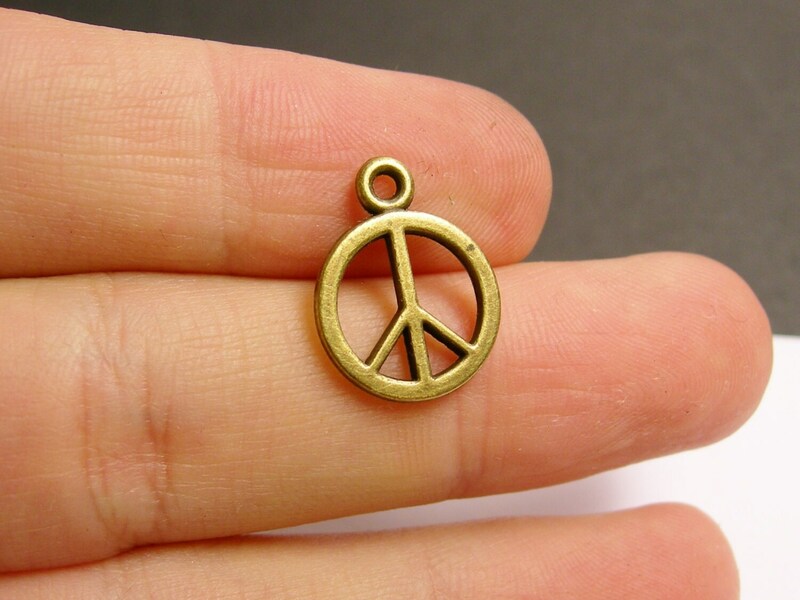 Beautiful charms, exactly as described, easy seller to work with. I am a repeat customer and would recommend this shop to anyone. Love these. They've given me new ideas. Thank you. 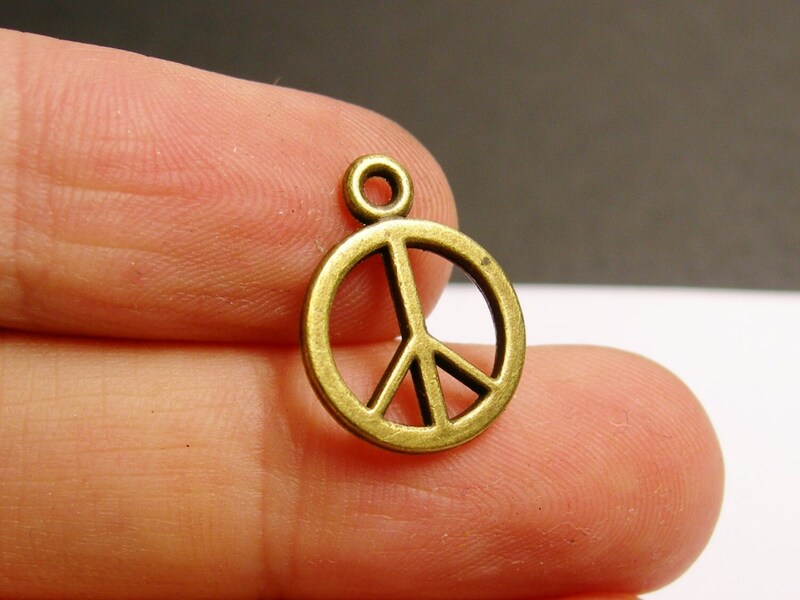 Excellent quality charms, fast shipping! 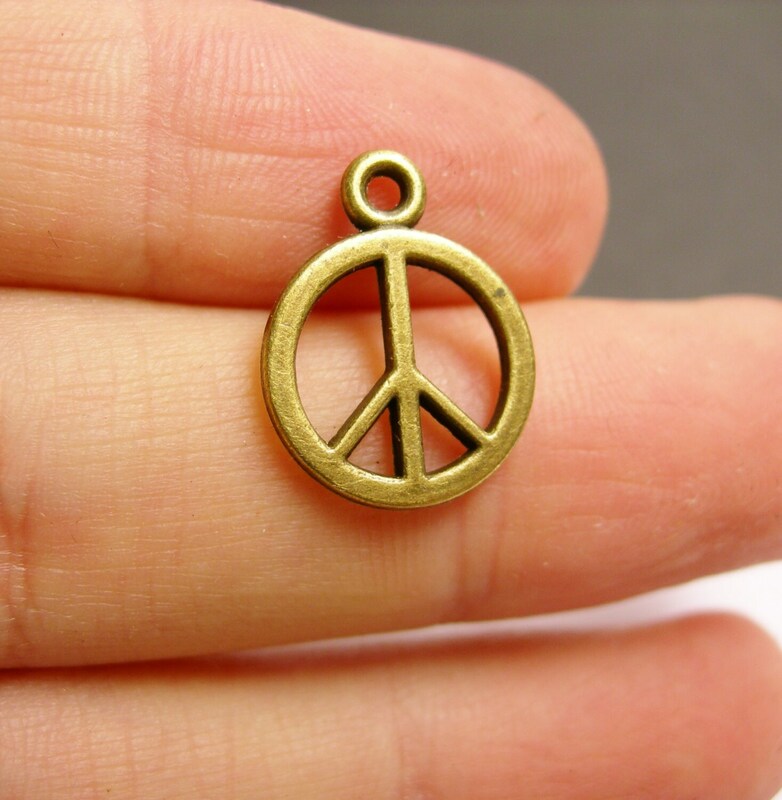 These Peace charms are perfect for use in Malas and Yoga Bracelets as well! The brass is a very nice alternative to the traditional silver, it looks very nice with the Brass Tibetan beads, thank you!